A fantastic starter kit for the sushi novice. 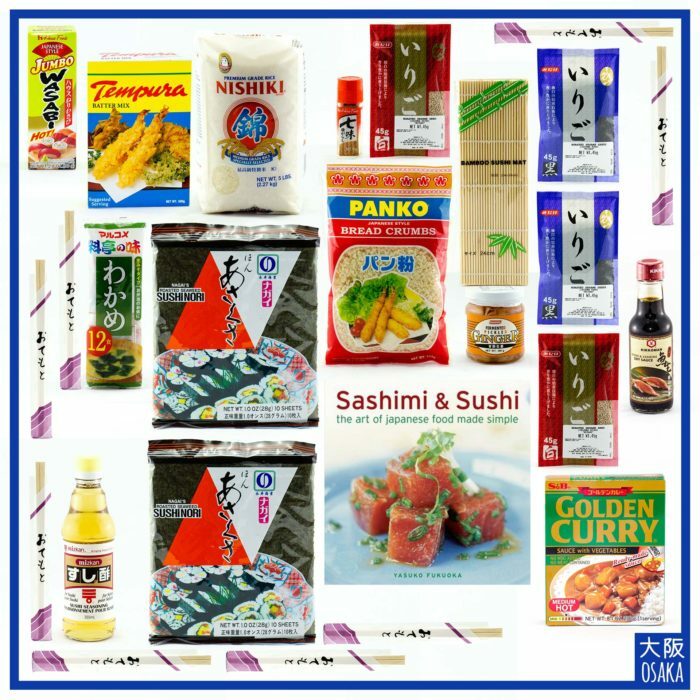 Not only does this kit make a excellent gift hamper for Japanese food lovers, it’s also perfect for a romantic date night or as a present for a student moving away to university. 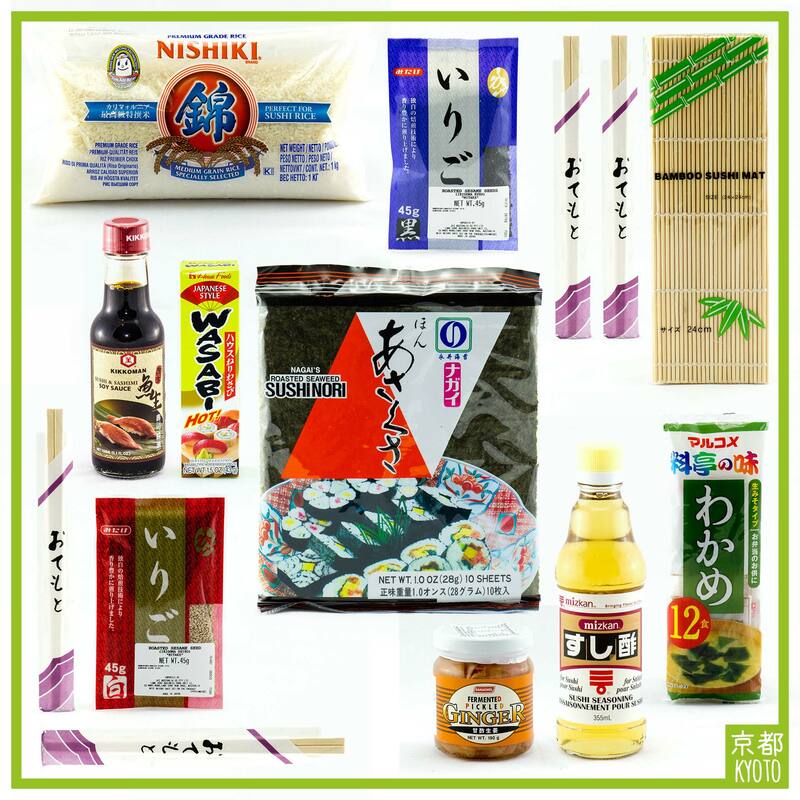 With nori seaweed sheets, sushi rice, a bamboo rolling mat and all the essential condiments and seasonings, you’ve got all the ingredients you need to make maki rolls, nigiri sushi, hand rolls and much more! Plus, make your Japanese meal even more authentic with a traditional miso soup as a starter. The included ingredients are excellent quality so you can forget the restaurants! Just add whatever fresh ingredients you like and start making sushi with the traditional bamboo mat — no gimmicks or high tech machinery required! There’s plenty of shelf life on everything we sell so you’ll always have what you need to prepare delicious Japanese meals. All of our sushi making kits are delivered free within the Sydney area. Delivery to everywhere else in NSW, VIC, ACT and QLD (Metro) is only $9. Get started straight away with the cheat sheet included in every kit. 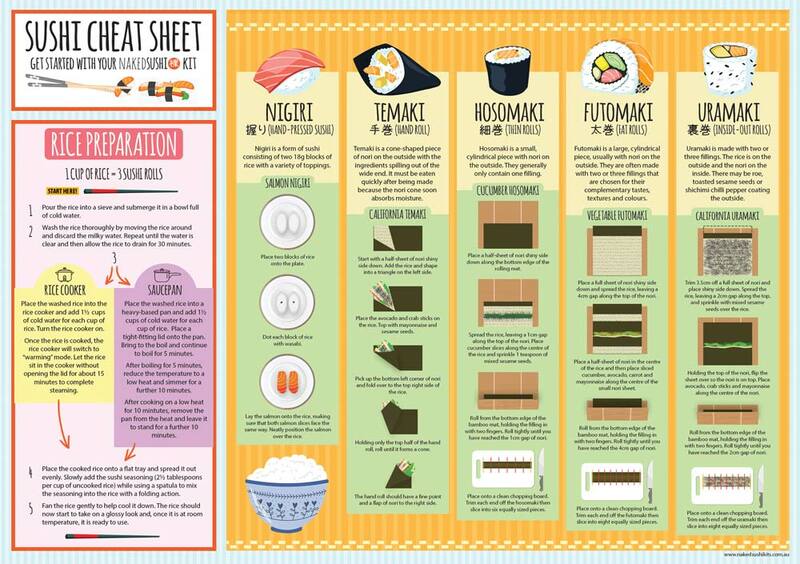 Follow the step-by-step instructions to prepare perfect sushi rice then grab the bamboo mat and start rolling! Try nigiri (hand-pressed sushi), temaki (hand rolls), hosomaki (thin rolls), futomaki (fat rolls) and uramaki (inside-out rolls) then complete your Japanese meal with the included miso soup and pickled ginger. Sushi is an incredibly versatile food so making it yourself allows you a lot of freedom. Seafood is the obvious starting point with tuna, mackerel, blue marlin, swordfish, yellowtail, salmon, trout, eel, squid, clams, scallop, shrimp, octopus and crab all making delicious additions. But, really, almost any fish can be used to make sushi. Cucumber, carrot, avocado, asparagus, jalapeños and onions also make great starting points but it definitely doesn’t have to stop there. Try making unusual rolls from ingredients you already have. Fruit-wise, pineapple, mango, apple and pear are fantastically tasty! So I purchased the Naked Sushi Kit as a Christmas gift for a colleague of mine who absolutely loves sushi. She was so pleasantly surprised when I gave this to her and since then has told me on several occasions that she always has such a great time putting different ingredients together to create these really crazy and delicious sushi rolls. I would absolutely recommend/buy this again for anyone who eats sushi, likes to get a bit creative and enjoys having fun!